CISOs are constantly striving for high performance in cybersecurity for their companies. When the consequences for a breach can be as high as job loss and reputational damage, it’s no surprise that every CISO is looking to stay at the top of their game. They are paying close attention to their progress relative to cybersecurity preparedness, to how much they have improved their organization’s and vendor ecosystem’s cybersecurity health, and how they will stay ahead of risk factors that could result in breach. 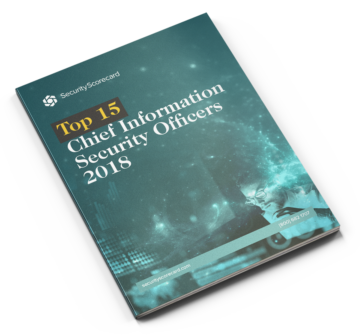 SecurityScorecard looked into the top 15 CISOs and the programs that have pushed their organizations forward in terms of cybersecurity. We ran an analysis looking at the security ratings of organizations over a six month period and identified which organizations improved those scores the most; whether overall or within a specific risk factor area.